South Texas College of Law Houston provides a diverse range of full- and part-time students with access to a legal education that combines classroom instruction and theory with opportunities for real-world experience. We have been consistently ranked as one of the nation’s best law schools for diversity, and we assist students with scholarships, internships, grants, and other financial resources to help them pursue their education. South Texas College of Law Houston offers the opportunity to enroll in the full-time program in the fall or spring and the part-time program exclusively in the fall. Applications must be received by March 15 (for fall entry) and October 1 (for spring entry). The fall application opens at the beginning of December and the spring application opens at the beginning of August. While GPA and LSAT scores are important, we also assess each applicant’s life experience, work history, community service, and graduate work. You may want to read our Application Review Process. Contact the Admissions office to learn more about applying to South Texas College of Law Houston. 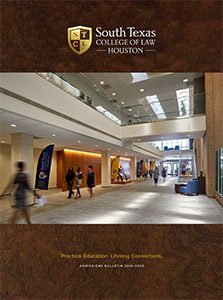 South Texas College of Law Houston consistently has been ranked among the best values in the country for a private law school, and the college was named a Best Value by National Jurist magazine in 2015. Our school continues its mission established in 1923: Provide a diverse body of students with the opportunity to obtain an exceptional legal education, preparing graduates to serve their community and the profession with distinction. The four attributes that make South Texas College of Law Houston unique. 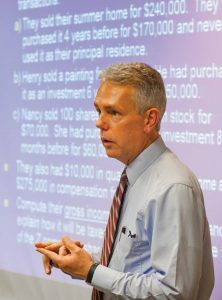 Today’s law students need more than what can be found in a textbook. Graduates of South Texas College of Law Houston receive an exceptional legal education coupled with practical, hands-on training. Join this with top professors who care about each student’s academic achievement and a network of more than 15,000 alumni for a combination of success unparalleled by any other law school. Come meet our top-notch faculty, and we promise you will walk away inspired. Not only will you discover that our faculty are leaders in their fields, you will be impressed by their level of investment in your success.